Jerry Pallotta Coming to Warren! 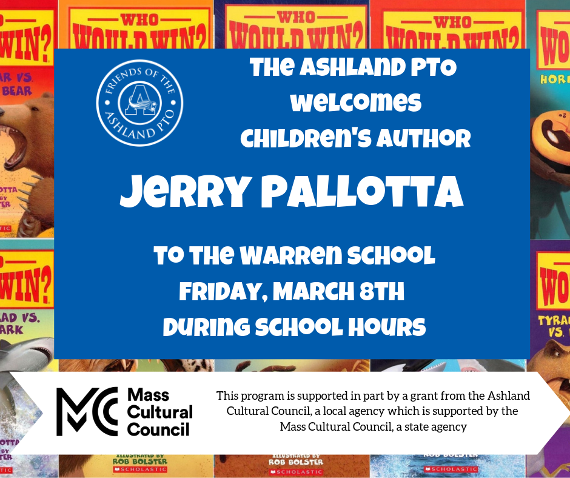 Thanks in part to a grant from the Ashland Cultural Council, the Warren School is thrilled to welcome children’s author, Jerry Pallotta on March 8th. Jerry is from Scituate, Massachusetts and has been writing children’s books for over 30 years. You can check out his website at https://jerrypallotta.com/. His first book was, The Ocean Alphabet Book and he has written over 90 books since. His newest series is called, The Who Would Win series which shows what happens when some of his favorite animals faced off. Comments Off on Jerry Pallotta Coming to Warren! Valentine’s Day is the perfect time to recognize our hardworking students at Warren and Mindess! Valentine-themed goody bags, along with your personalized note, will be delivered to your student’s classroom on Wednesday February 13th. Don’t worry about allergies – there are no food items in the bags! Comments Off on Happy Friendsgiving! 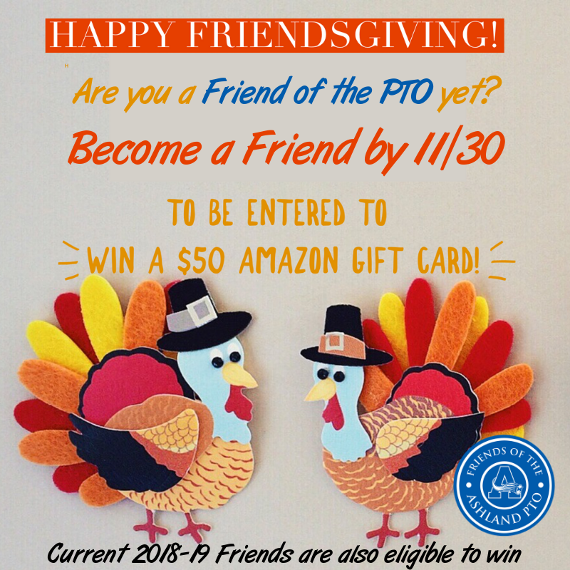 Become a Friend of the PTO! 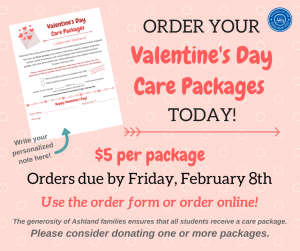 Who can be a Friend of the Ashland PTO? Parents, Grandparents, Aunts, Uncles, Close Friends … anyone who has an active interest in our schools! But we can’t do it without a little help from our Friends! CLICK HERE to Become a Friend today!! Comments Off on Become a Friend of the PTO! Shop at Amazon – Support the PTO! 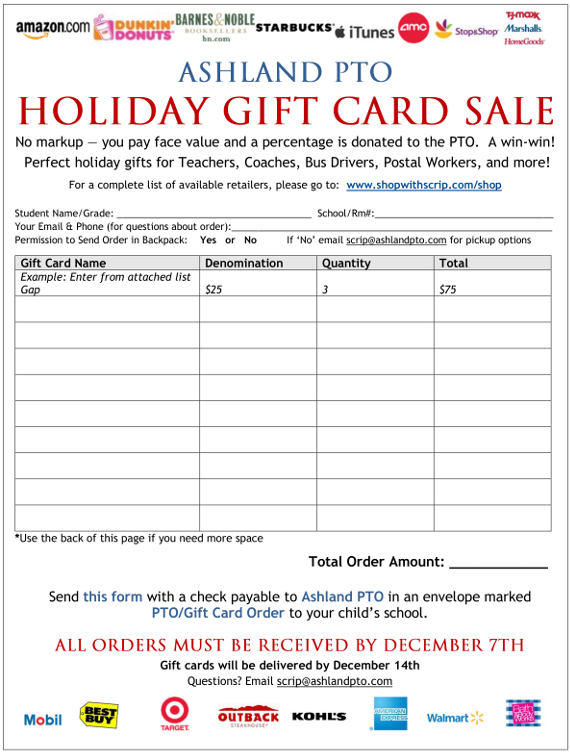 Shop with Amazon and support the PTO! 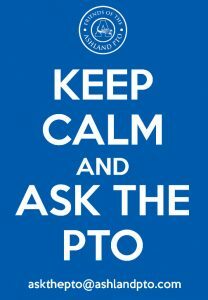 Earn money for the PTO all year in 3 simple steps without spending an extra dime! Use your bookmark every time and the PTO will earn 6%-10% of everything you buy! Now is the PERFECT time to start your Amazon Prime 30-Day FREE Trial. Get FREE 2-DAY SHIPPING on thousands of items! PLUS, the PTO receives $3 for every person who signs up! IMPORTANT!! This is a NEW LINK and must REPLACE any existing Amazon bookmarks you already have!! Comments Off on Shop at Amazon – Support the PTO! 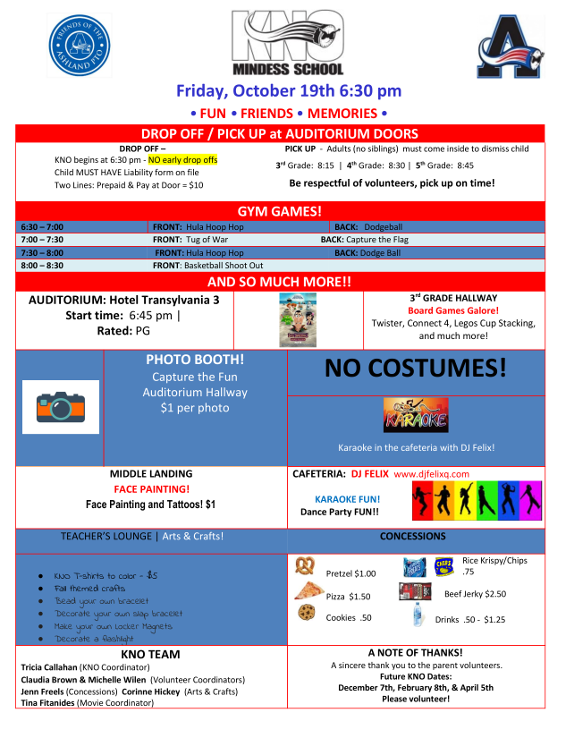 Want to stay on top of this year’s PTO events? Now you can subscribe to our calendar feed and never miss another event. 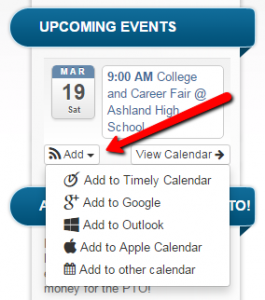 Click the “Add” button in the bottom left corner of the Upcoming Events box to get a pop-up menu which will let you add our events feed to the calendar of your choice! Monthly Meetings – Join Us! Please join us for our monthly meetings on the 2nd Wednesday of each month at 7pm at the Ashland High School Library. These meetings are a great opportunity to meet other parents, keep up to date on school activities, and contribute ideas and concerns. Comments Off on Monthly Meetings – Join Us!